Anyone who has a wood burning fireplace in their home knows the ash needs to be cleaned. This ash is typically collected in a bucket or other container for eventual disposal. 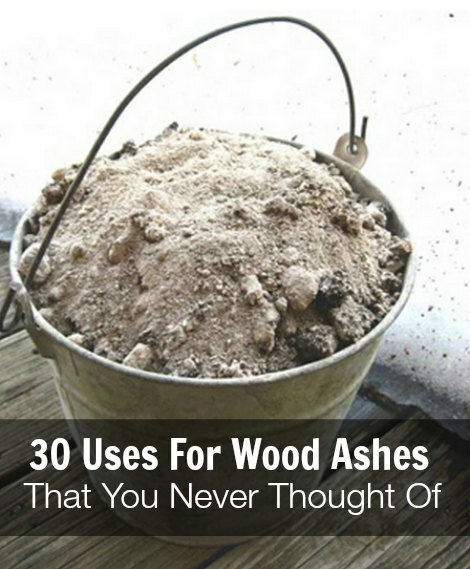 Many people may dump ash in a trash bin or in their backyard. Saving the ash from a fireplace for other uses is also seldom thought of. The wood ashes can easily be reused in many ways around the home. The options to use wood ashes at home depend on the application. If you are going to keep wood ashes to use around the house, you should first determine where the ashes will be kept once you clean your fireplace for the first time during winter. The best container for wood ashes (once they are quite cold) is plastic tubs as they typically have a lid that is easy to remove. If you do not have a container for your wood ashes, then a great place to find one is at a discount store. The size of container to use depends on your preference, the amount of ash that you accumulate, where it will be located, and ease of use. A metal trash can may be a good option if you plan to keep wood ashes outside. This will work well if you do not want to have a container of ash in your home or in the garage. You will be surprised with the ways you can use the ash collected from your fireplace. The wood ashes from a fireplace can be applied in your home as a cleaner and odor remover. You can even use the ash from your fireplace to repel rodents and insects. This is a great way for you to save on the cost of store bought products that are used around your home.